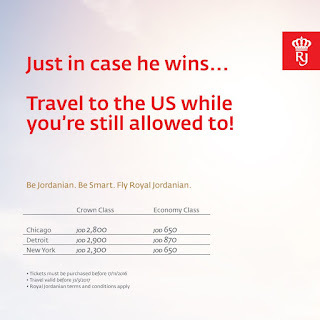 Tarek Chemaly: Royal Jordanian - Brilliant Trump dig election ad! 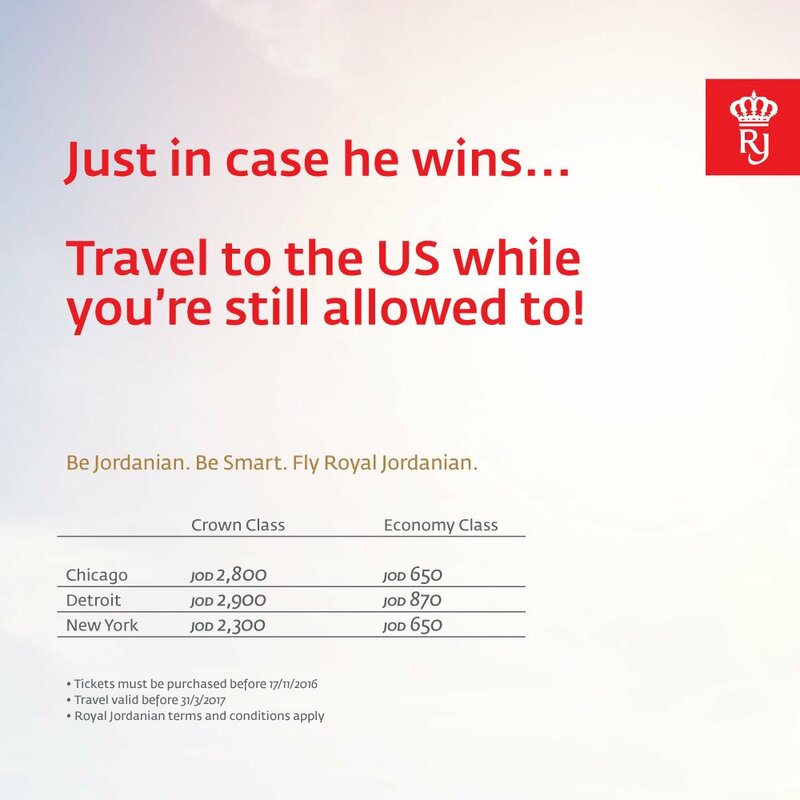 Royal Jordanian - Brilliant Trump dig election ad! And if there was any doubt about the effectiveness of advertising, Royal Jordanian beats it. "Just in case he wins... Travel to the US while you're still allowed to!" - advertising and wittiness could not get any notch higher. All hats off! A major hint on Trump banning Muslims from entering the US..... Oh my I am in love!